When it comes to crafts and creative things, I am a child! I love coloring, making bracelets, and whatever else I can get my hands on. However, the easier the better. These three books will get you drawing and writing with calligraphy in no time. They are also easy for beginners like me. 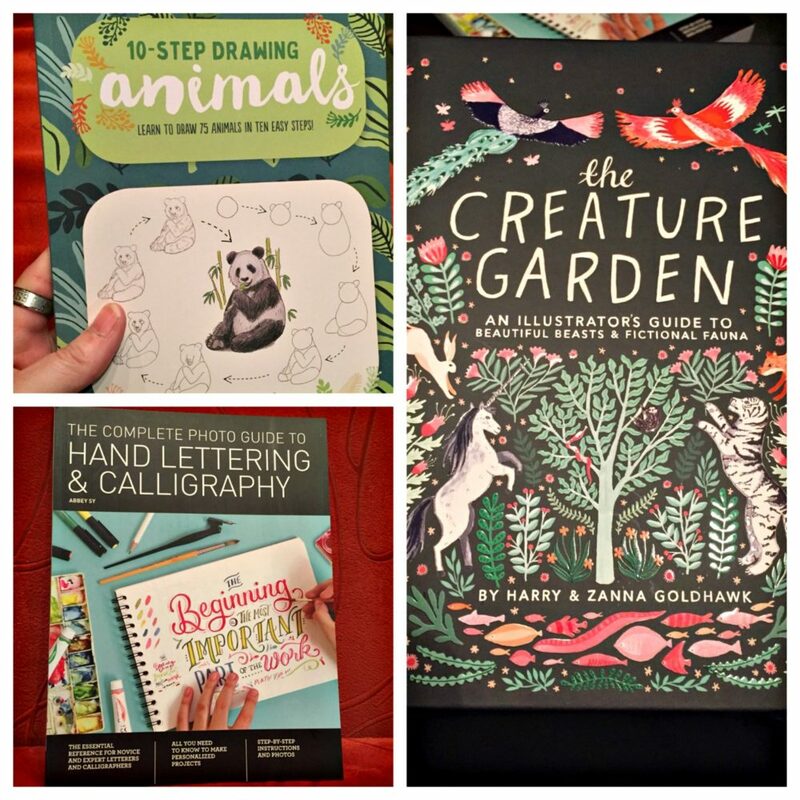 There is “10-Step Drawing Animals by Heather Kilgour“, “The Complete Photo Guide to Hand Lettering & Calligraphy by Abbey Sy“, and “The Creature Garden by Harry & Zanna Goldhawk“, all from The Quarto Group. 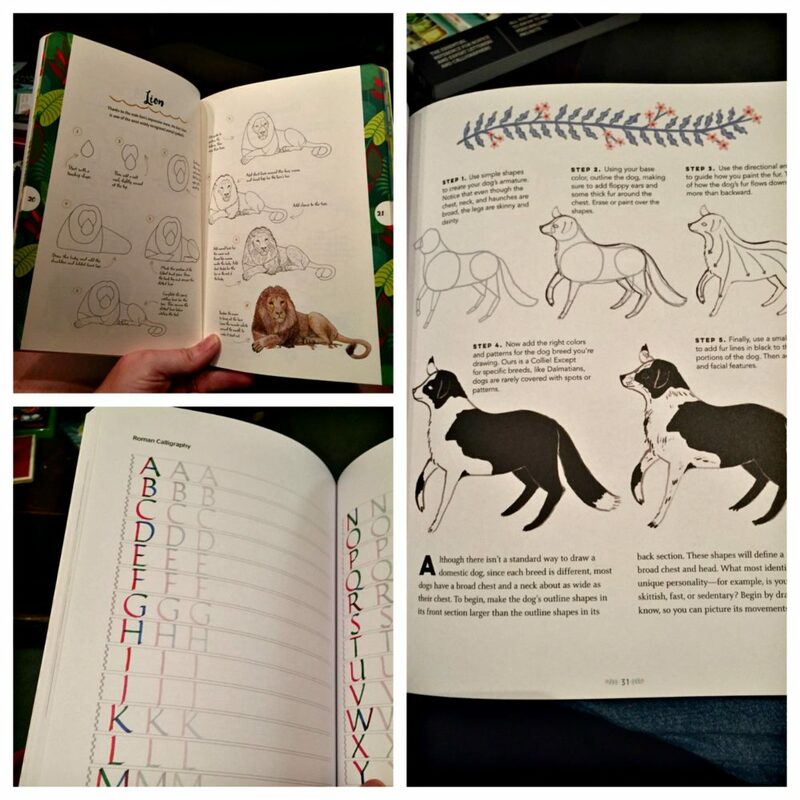 I love how easy this book makes drawing animals. They give you 75 animals to draw in 10 easy steps. There are woodland animals, aquatic, farm, and pet animals, and last but not least, wild animals. There is truly something for everyone in this book. Kids can even use this because they make it that easy! I was amazed at how good my drawings looked because I have no talent. I mean, I certainly wouldn’t call myself an artist, but with this book, you just might end up being one. I wasn’t sure I would be able to get the hang of the art of calligraphy, but to my surprise, I did a pretty good job! They make it so easy by showing you pictures and giving you step-by-step instructions. I know I’ve said this before, but beginners all the way to expert (and anyone in between) will love using this book. Even if you know how to do this, you can always improve on your talents. If you decide to get this book for yourself or a loved one, just know that you have to purchase calligraphy pens separately. They even show you what tools are best to use! I left this book last on purpose for a reason. It is my favorite. It teaches you about the tools and materials you will need. The drawings they have are so awesome! From jaguars to red pandas, tropical fish to small birds, and so many others. They even teach you how to draw mythical creatures. How much fun is that? We are talking about unicorns, mermaids, fairies, Pegasus, and others that I don’t want to spoil for you. This book will amaze and astonish you. I have been taught so much from the step-by-step guides, I’m flabbergasted. These books would make wonderful gifts for anyone interested in learning anything new.